Do you consider yourself a professional? Most people do. What kind of professional are you? Are you a new professional or an old professional? Old professionals don’t use all the energy available to them and so they struggle and don’t enjoy themselves as much as they could. New professionals do use all the energy available, struggle less and are happier. Old professionals rely on science and exclude spirit. 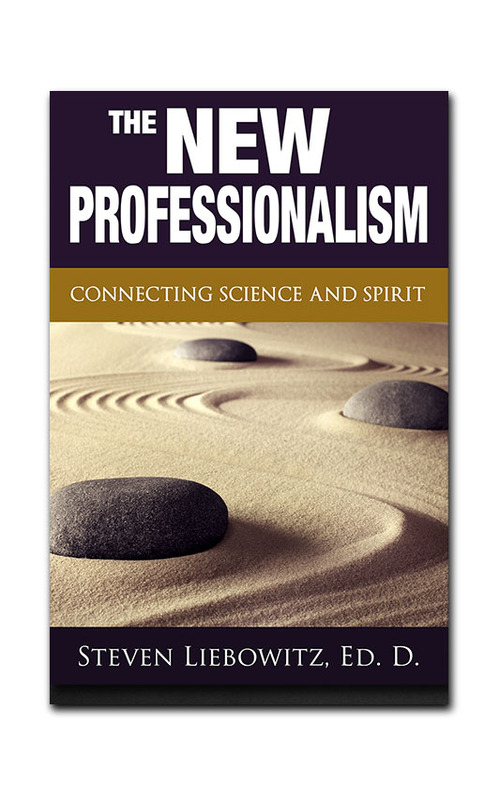 New professionals combine scientific objectivity and analysis with the spiritual qualities of creativity, compassion, spontaneity, and intuitiveness. Every human being, even you, has access to both Science and Spirit. Using them both enables you to become a new professional, enjoy yourself more and be more successful. Using either one or the other, or restricting spirit to traditional religious practice, or thinking that you can’t do science, holds you back, limits you, keeps you struggling as an old professional instead of enjoying life as a new professional. New professionals get their bloated nothingness out of the way by using both/and thinking instead of either/or thinking. New professionals realize it’s not either Science or Spirit, but both Science and Spirit. New professionals know that trade-offs are not necessary. Being an old professional and choosing either Science or Spirit is playing with half a deck, only some of the marbles. Why not learn to be a new professional and play with all your marbles and a full deck? Imagine what you could accomplish for yourself, your community and the world if you had the full use of both Science and Spirit, right now. Even as the professions are subordinated to the interests of corporations and government, the ideal of the independent professional flourishes. As scholars, lawyers, engineers and physicians become employees — workers in a bureaucracy rather than autonomous managers of their own careers, the myth of their career-style remains strong. Mergers and consolidations create vast concentrations of power spanning the globe – difficult even for national governments to manage, but most individuals still cling to the ideal of professional integrity and independence. Read this book! Become a new professional and make the professional ideal a reality again. As Pogo said, we have met the enemy and they is us. Part One explains the goal of the new professionalism — empowerment, and how to use our everyday self talk and thinking process, self awareness and the connection between body and mind to achieve it. Part Two presents a powerful tool for improving communication, general semantics, a scientific approach to managing language and meaning. Using a map metaphor to describe how meaning is created (the map is not the territory), Part Two demonstrates that things are more than we say they are, and presents six rules for mastering language. Part Three offers the Qualitative Paradigm of Science as a more empowering alternative to the dominant Quantitative Paradigm, suggesting that a shift to the Qualitative will facilitate a shift to the Way of the Professional, making it easier for clients and professionals to connect science and spirit in their everyday lives. Part Four introduces a model called “the Pause.” This five step model softens the traditional boundaries between client & professional, parent & child, manager & employee, making it easier to share power and making it easier to achieve a truly mutualy beneficial professional relationship. Each part is preceded by a preview, game, case or quiz to get you actively involved. You’ll enjoy yourself doing these and learn more rapidly, too. At the end, the short bibliography of books and magazines provides additional paths to follow; so that the “end” becomes the beginning.